When BlackBerry license-holder TCL used the January 2018 Consumer Electronics Show in Las Vegas, Nevada to announce at least two new BlackBerry-branded smartphones by the end of 2018, I was expecting updates to the KEYone and my beloved full-touch BlackBerry Motion. 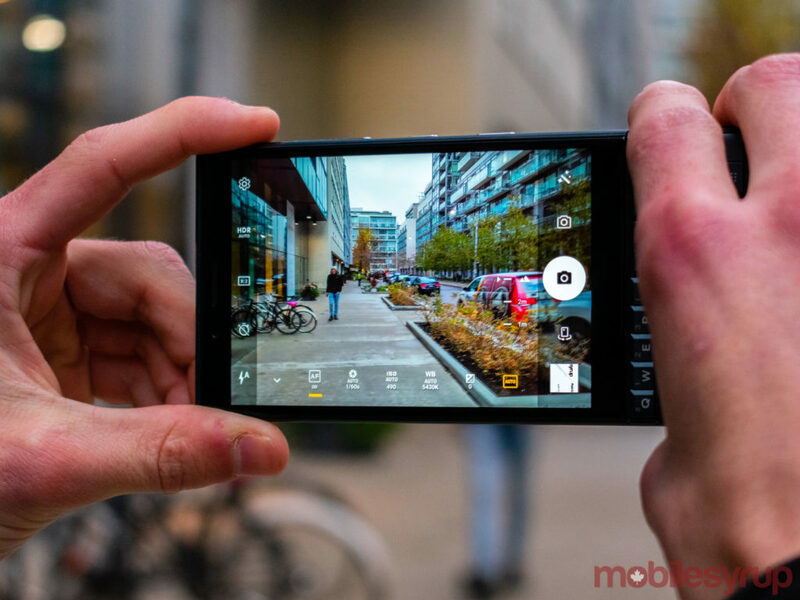 TCL began fulfilling its claims by releasing its delightful — if expensive — BlackBerry KEY2 in June 2018, leaving the door open for at least one more device before the end of the year. Rather than releasing a successor to the BlackBerry Motion, however, TCL has chosen to follow up the KEY2 with an almost identical device that notably skimps on certain internal specifications. 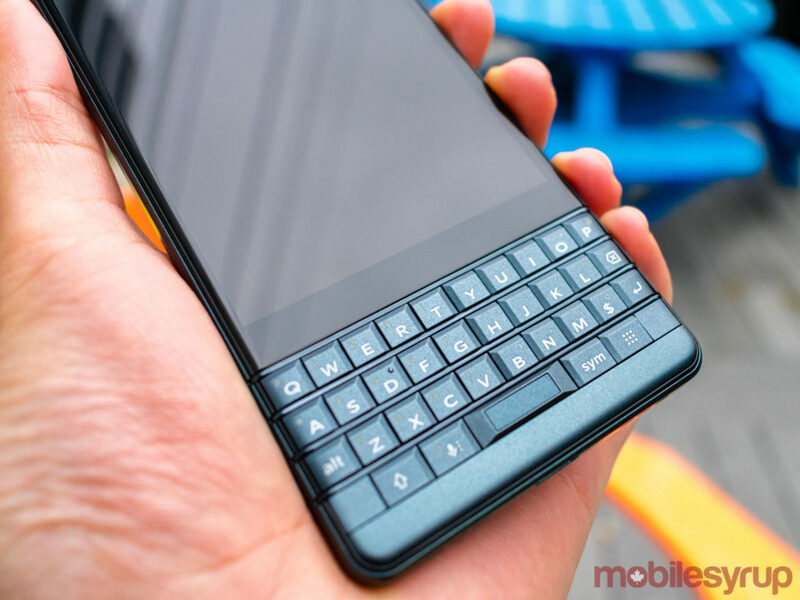 However, the decision to release the BlackBerry KEY2 LE might just be the most BlackBerry-esque move TCL has ever made. Despite the fact that BlackBerry’s ‘Curve’ line of smartphones debuted before the company’s ‘Bold’ line of devices, BlackBerry Curve devices ultimately came to be known as the company’s entry-level handsets. Even when BlackBerry’s grip on the global smartphone market had slipped, the company maintained that split thinking, releasing a so-called entry-level device alongside a flagship product. Curves were for people who wanted a BlackBerry, but who didn’t need all of the bells and whistles provided by the Bold. All of which is to say that TCL’s BlackBerry KEY2 LE, with its slightly inferior technical specs, missing features, plastic body and its significantly more affordable $480 price tag, falls in line with BlackBerry’s flagship/entry level bifurcated product thinking. While the KEY2 LE might have the same 4.5-inch IPS LCD, 1620 x 1080 pixel resolution, 3:2 aspect ratio display as its older sibling, the phone has a slower Qualcomm Snapdragon 636 processor, 4GB of RAM versus 6GB of RAM, less base storage, a smaller 3,000mAh battery, a 13-megapixel + 5-megapixel dual rear-camera setup compared to a 12-megapixel + 12-megapixel setup, as well as a slightly smaller plastic frame. 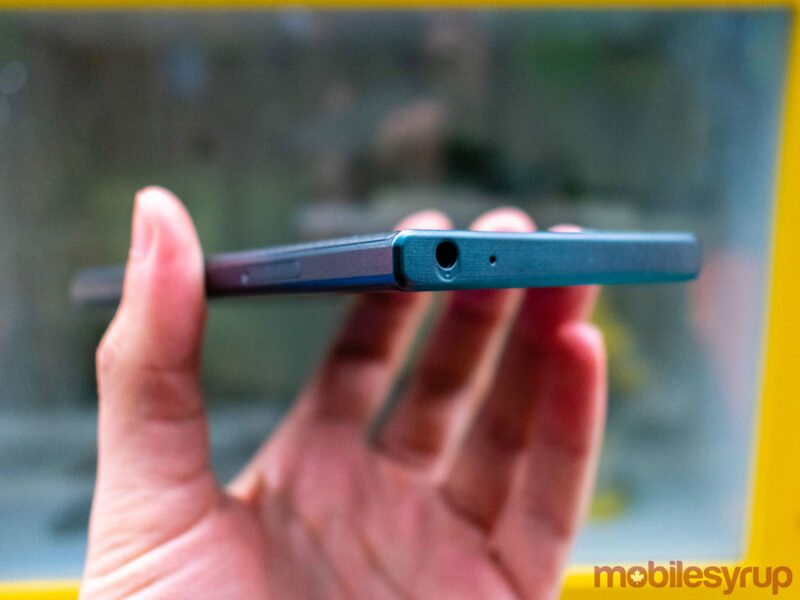 It’s worth noting that the device’s frame could be susceptible to minor forms of bending. MobileSyrup had to exchange its review unit twice due to minor bending on the right side of the screen, near the bottom of the device’s volume rocker. The review unit we currently have is a dual-SIM version of the KEY2 LE, and this device has not shown any signs of bending or deformity. 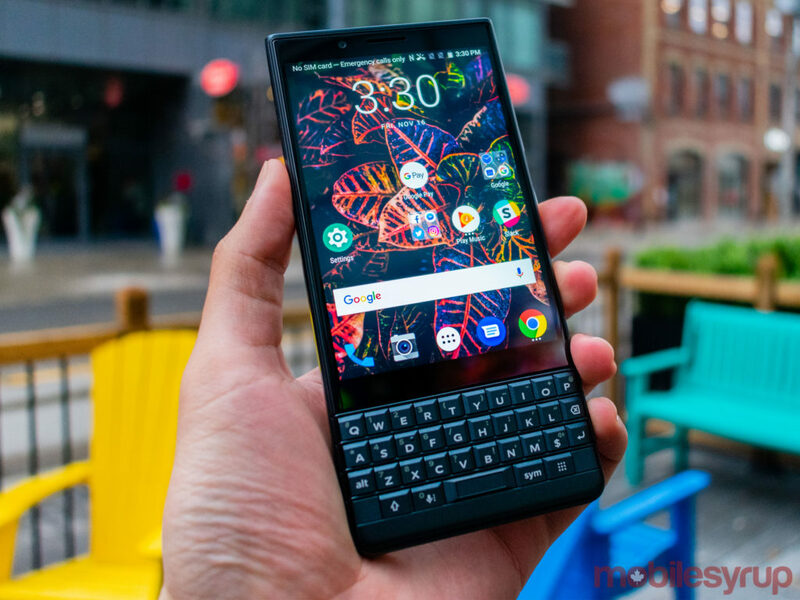 The international versions of the KEY2 LE — and the version sold at Staples Canada, Amazon.ca, Blueshop.ca and Walmart Canada — features 64GB of base storage and dual-SIM slots, whereas the carrier version contains 32GB of internal storage and a single SIM slot. Although the phone is the cheaper of TCL’s KEY2 devices, the LE retains its predecessor’s ergonomic design, with a keyboard that’s 10 percent larger than the one found on the KEYone. The KEY2 LE’ keyboard is comfortable, clicky and responsive, but it’s missing the KEYone and the regular KEY2’s capacitive capabilities. As a result, LE users won’t be able to use the keyboard to scroll through pages. Thankfully, TCL didn’t remove the KEY2’s spacebar-embedded fingerprint sensor. Also returning is the KEY2’s ‘Speed Key,’ which lets LE users map all of the device’s 35 physical keys to launch different apps and functions. I haven’t found the Speed Key to be particularly useful in my day-to-day use, but its presence on the KEY2 LE is a welcome sign that TCL doesn’t want to reserve every premium feature for its flagship BlackBerry devices. BlackBerry purists also need not worry, as the KEY2 LE features a Convenience Key on the right side of the device, directly under the phone’s ribbed power button. I praised TCL’s decision to include a power button on the right side of the original KEY2, and I’m quite glad that the Chinese device manufacturer chose to place the button on the right side of the KEY2 LE as well. Equally welcome is the KEY2 LE’s overall performance and battery life. Despite a slower Snapdragon 636 processor and a smaller 3,000mAh battery, the KEY2 LE is still able to provide zippy performance and surprisingly impressive battery. The phone is able to survive at least a full day of use, and in some cases, I was able to get through an entire day and a half of listening to podcasts, surfing the internet, browsing Reddit, Facebook, Twitter and Instagram, streaming short YouTube clips, sending emails and text messages and making phone calls. Additionally, though the phone stutters through 3D-intensive games, it’s more than capable of surviving extended sessions of Pokémon Go, Reigns and The Bug Butcher without slowing down or overheating. 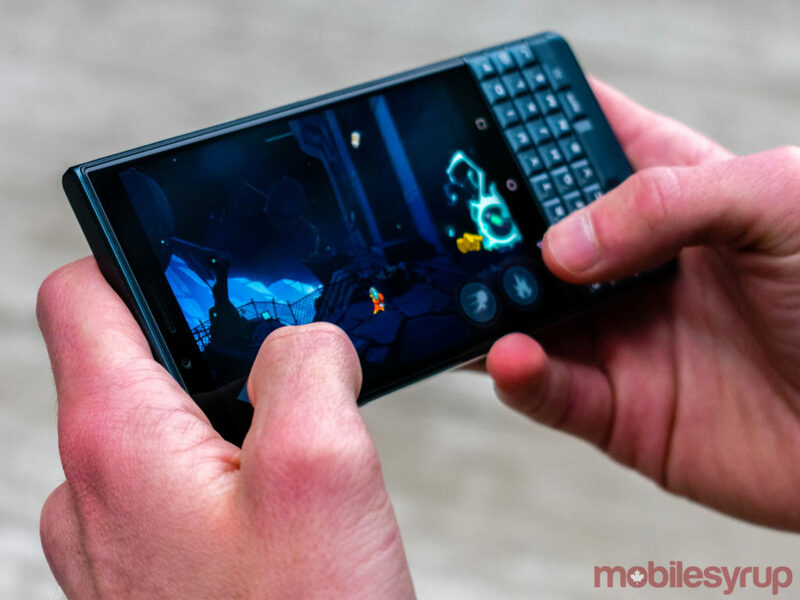 However, due to the phone’s 3:2 aspect ratio display, as well as the presence of a physical keyboard, playing mobile games with multiple on-screen controls in landscape mode can be a cramped and uncomfortable experience. While the Snapdragon 660 found on the original KEY2 is an undeniably speedier processor — and the KEY2’s 3,500mAh battery is definitely bigger — I remain unconvinced that the improved chip and the larger battery are worth the $874.99 price tag. The same can be said about the KEY2 LE’s overall software feature set. TCL’s latest BlackBerry-branded handset features the usual suite of preloaded BlackBerry apps — like the DTEK security app, BBM and the Hub — in addition to the BlackBerry Locker app first introduced with the KEY2. At launch, the KEY2 LE was the only BlackBerry device to feature app cloning, which allows users to make duplicates of certain social media apps — like Instagram, Messenger and WhatsApp — but that feature is now available on the KEY2 as well. It’s an interesting feature that allows multiple user accounts for the same social media platform to exist on the same device, though I question whether it’s an essential-enough feature to differentiate the KEY2 LE from other mid-range devices. App cloning will no doubt prove to be a welcome addition, even if most users don’t ultimately take advantage of the feature. To say that the camera on the KEY2 LE is unimpressive would imply that I had high hopes for the device’s shooter in the first place. That’s categorically untrue, and the KEY2 LE’s 13-megapixel + 5-megapixel dual rear-camera setup is precisely as serviceable as one would expect from a $480 handset. Yes, the rear-facing camera is a dual-shooter setup, but while the phone is able to capture photos acceptable for Instagram or Twitter, the KEY2 LE won’t convince Annie Leibovitz to switch from a Pixel 3, and the phone’s camera certainly won’t be used to capture images for any of Condé Nast’s magazines. The issue isn’t that camera quality is bad by any means. Instead, most users will find that the camera produces overly processed images with muted colours and low sharpness. To its credit, the camera does work well in cloudy or overcast conditions. Photos taken at dusk and dawn are also quite pretty. Exceptionally bright environments, however, or indoor settings lacking in natural light lead to photos that are often visually dull and emotionally disaffecting. The device can also record video in 4K at up to 30-frames-per-second, though I can’t imagine that this device will be used to record the latest Eminem music video. While videos recorded in 4K might technically feature a 4K aspect ratio, footage lacks 4K video’s crispness and sharpness. The camera’s enhanced video stabilization feature — only available on footage recorded in 1080p at 30-frames-per-second, 1080p at 24-frames-per-second, 720p at 30-frames-per-second and 720p at 24-frames-per-second — is also a low point. Even when activated at supported frame rates, video stabilization is still rough and choppy. The KEY2 LE can record slow-motion video, portrait mode photos, panoramas, as well as scan business cards. However, slow-motion video footage is incredibly low quality; portrait mode works well enough, though it doesn’t compare to the effect on more expensive phones with better cameras and better camera processing software; panoramas are visually intriguing but suffer from the same dull colours and low sharpness as regular photographs; and business card scanning is a nifty feature that simply takes photographs of business cards when the feature actually works. Ultimately, if camera quality is a potential consumer’s decisive purchasing factor, there are mid-range phones with better cameras — like the Motorola Moto G6 — as well as mid-range phones with worse cameras — like the LG Q Stylo+. 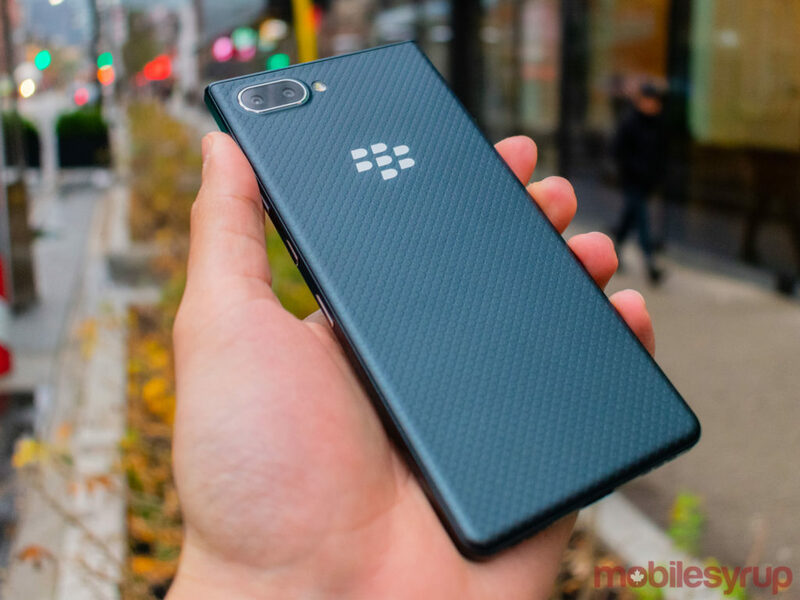 The dual-SIM version of the BlackBerry KEY2 LE is available unlocked from Staples Canada, Amazon.ca, Blueshop.ca and Walmart Canada for $599.99. The single-SIM version is available at Bell, Rogers, Telus and Telus mid-tier flanker brand Koodo for $0 on premium and premium+ plans. The phone also retails for $480 outright. 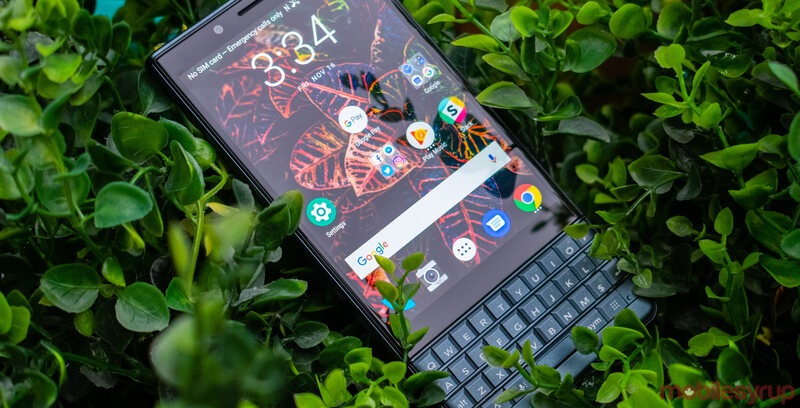 The BlackBerry KEY2 LE is available in ‘Slate,’ ‘Champagne’ and ‘Atomic,’ though only the Slate version is available in Canada. If you absolutely need to own a BlackBerry smartphone in 2018, the KEY2 LE is definitely the device to purchase. Not only is the device cheaper than its slightly older sibling, it features almost the same internal specifications. "For the first time in history, the BlackBerry Curve is better than the BlackBerry Bold"